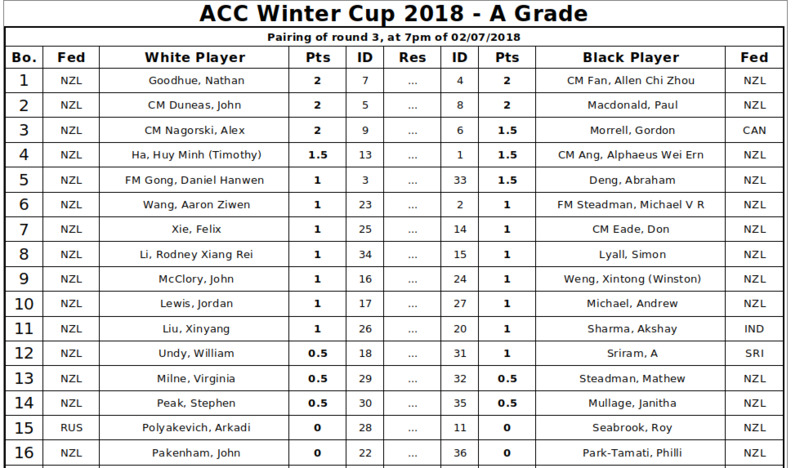 Winter Cup 2018 Round 2 PGN by Alex Nagorski and Tim Ha, with help from Simon Lyall and plus a game from Paul Macdonald annotated by Paul himself. The rating gaps were still several hundred points in most games so a lot of quick wins. But there were several upsets. Paul Macdonald beat Daniel Gong. 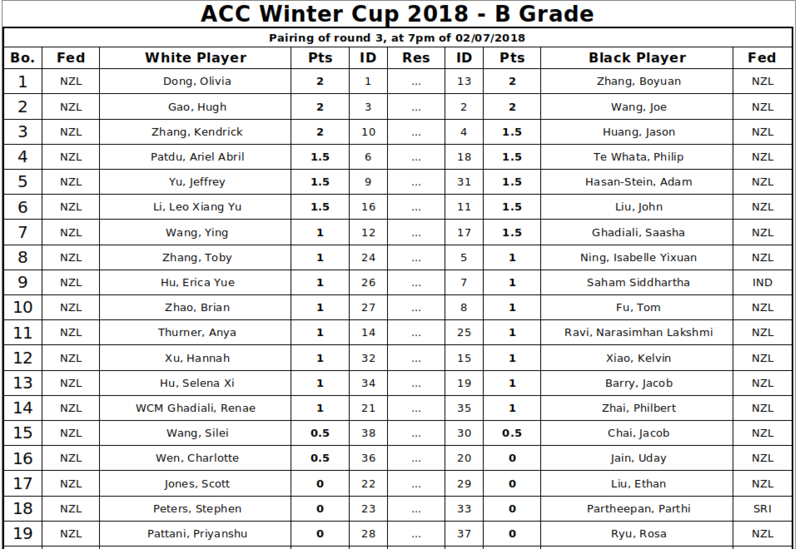 Compared to A Grade there were relatively few upsets in B Grade. 5 players are undefeated in 1st place – Joe Wang, Hugh Gao, Boyuan Zhang, Olivia Dong, and Kenny Zhang.